US Mint Deal Is Back! I’m very excited that the US Mint deal is back! OK, it’s not really. But I happened to find a way to help meet minimum spending requirements (sort of) buying coins with a credit card! And with no fees! Always Be on the Alert for New Ways to Earn Miles & Points! For folks new to our hobby, the US Mint deal was a government program that allowed you to buy dollar coins with a credit card without a fee. 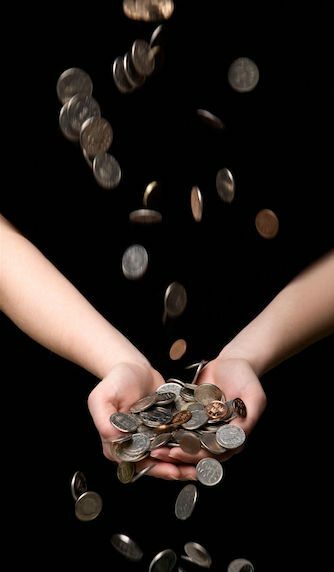 And some people would buy the coins with their credit cards, then haul these heavy coins to deposit in their bank account, earning Big Travel in the process! I was playing Skee-Ball with friends at Punch Bowl Social here in Austin, when I spotted it. A rare magnificent beast. 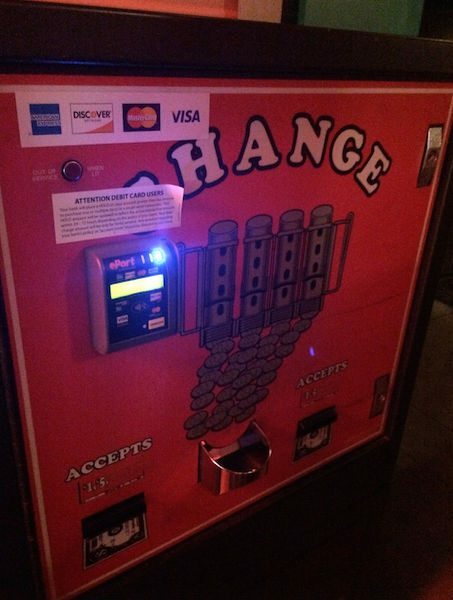 The Change Machine at the Bar & Arcade Accepts Credit Cards! But as always, I examined the fine print. And there was no fee. Two of my friends had new Discover it® Cash Back that earn $50 after the 1st purchase. They immediately purchased coins at no cost. I did try it to find out if it would code as a purchase or cash advance (and to see if I’d earn a category bonus). For that reason, I probably won’t be adding this to my 50+ Ways to Earn Miles & Points post. Although, the experience was a reminder that if you keep your eyes open, you can find unusual ways to earn points. Even if it’s only a few points for fun! 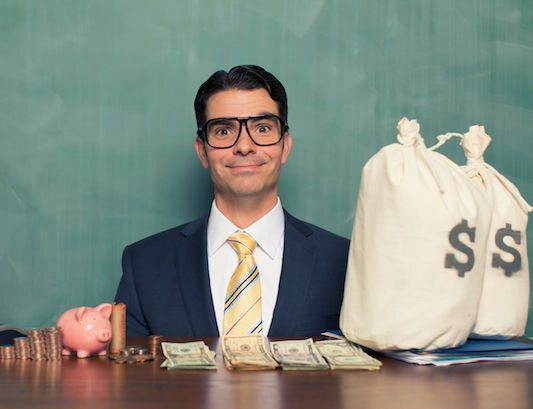 Be on the lookout for hidden ways to earn miles & points for no cost! In this case, I found a change machine at an arcade that accepted credit cards with no fee. My friends and I earned points towards Big Travel playing Ms. Pac-Man! Have any of y’all found unexpected ways to earn a few extra points? I actually used the 1dollar coins at grocery stores and gas stations and even the horse track. I would always get funny looks from the employees. As they do not give these out for change so they never get into circulation. I moved $100,000 of these coins in 6 months years ago !!!! I MISS THIS PROGRAM !!!! LOL !!!! I can see you putting $200 of quarters in your pants and having them fall down in the parking lot on the way to your car in front of a bunch of kids and mad mothers…glad some things are beneath you. you can however buy coins through the mint as collectibles…I have 3 rolls of all the national park quarters so far (one from each mint) and will collect them all and then sell the set for a profit. Just like state quarters it takes many years, so I usually combine shipping on orders and get a couple of proof sets, 3 or 4 different quarter sets, and maybe a uncirculated set all at once…..it’s only a few hundred a year, but it is still the mint, which is nostalgic to see on your credit card bill.